Math has never been my strong suit. So my being 54 for two years in a row and skipping 55 is not that mysterious. But simple arithmetic points me to a genuine mystery this week. The math says that my oldest brother will turn 80 on February 16. That blows my rapidly-aging mind. A good bit of mystery has always attached itself to the gentleman herein mentioned. Ironically, he’s both the least mysterious of men and among the most amazing. Absolutely a “chip off the old block,” he is truly my father’s successor in life, in ministry, in character. My father and his eldest son were/are “men without guile,” the gentlest, meekest, strongest, and best men I’ve ever known. What you see is absolutely what you get, uncut, unalloyed, pure—honesty, integrity, commitment to God and service to others. Ah, but a wee bit of mystery, too, resides in this soon-to-be octogenarian. Not least, his very name. He’s B. Not to be confused with any other letters of the alphabet. Actually, he’s G. B. Shelburne, III. 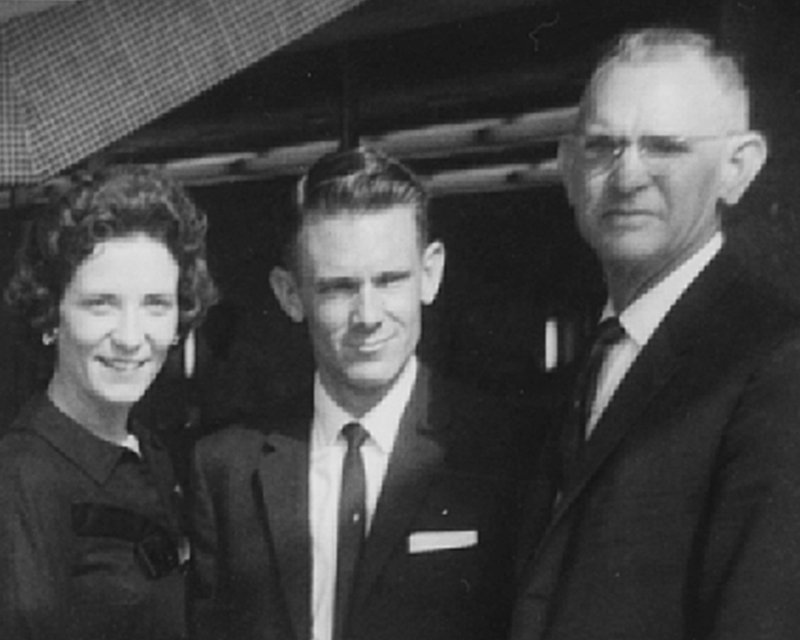 Our father was G. B. Shelburne, Jr. But family lore indicates some confusion, even between our father and his mother, about whether the initials were truly “initials only,” as legal records might state, or if they stood for names. No room in this space to discuss the options. I’ll just say that the situation allowed my wry mother to poke good-natured fun as she intoned, “G-only B-only” tossing an “e” into the midst of “only” and bringing up images of gaunt skeletons. Don’t check my math, but when I was born, B. and Ruth (his amazing wife) were recently married. He was almost 21, and I was barely here. (Brother Jim would later be created, mostly to serve as my playmate and partner in mischief.) G. B. & Wilma (“Abraham and Sarah”) had been seriously surprised by, uh, me. While I was still barely a pup, B. and Ruth went to Malawi, Africa, as missionaries, a very mysterious thing to a little kid. Hence my opportunity to get to know my own oldest brother came when he and Ruth were home on infrequent furloughs from the mission field. I know now how seriously B. worked to make sure we got acquainted. We did. And for a bunch of decades now, you can count me as someone high on the list, the very long list, of folks who have been blessed by this man who is my brother, almost my father, a pastoral colleague, a mentor, a dear friend, and one of the most truly Christlike, spiritually-minded men I’ve ever known. He’s still a little mysterious. How can my oldest sibling have less gray hair than any of us? What is no mystery at all is that everything he is and does honors his Lord. Eighty years. I don’t think it’s really G-only B-only. I think it’s Great Blessing. For 80 years, he has been. This entry was posted on Monday, February 8th, 2016 at 8:06 pm	and tagged with birthdays, blessings, Christ, Faith, family names, love, octogenarian and posted in Uncategorized. You can follow any responses to this entry through the RSS 2.0 feed.